If you’re planning an event How to Use Google Keep to Plan Almost Any Event How to Use Google Keep to Plan Almost Any Event Have a big event to plan? Google Keep can help you share the planning, mark up materials, and have a safe place to organize everything without the worry. Read More , sending out a pile of party invitations, or even trying the create a buzz about a new product, you might want to send an email to lots of people at the same time. But there’s a problem: it’s annoying to constantly paste all your addressees into the CC or BCC boxes. It’s far too time-consuming, and you’re liable to leave someone out accidentally. 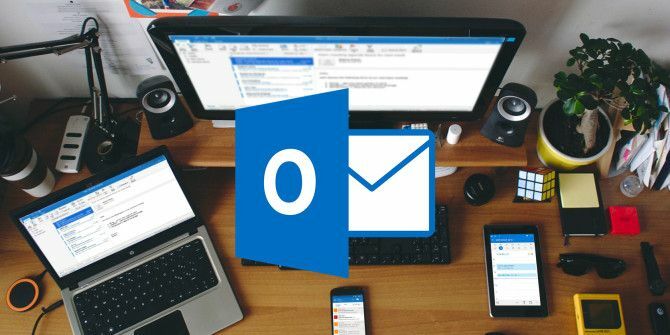 If you’ve got a copy of Outlook on your machine Outlook Premium Is Now Available to Everyone Outlook Premium Is Now Available to Everyone Microsoft has launched Outlook Premium out of beta. This means anyone can now sign up to use the premium version of Microsoft's email service... for a price. Read More , there’s an easier way: create an email distribution list. These instructions only apply to Microsoft Outlook 2013 and 2016 for desktop. All the different Outlook names are confusing, so it’s important to be clear: if you use the web app Microsoft Outlook Web Vs. Desktop: Which One Is Best for You? Microsoft Outlook Web Vs. Desktop: Which One Is Best for You? Outlook.com is a powerful online email client that comes free with Office Online. But can Outlook on the web compete with its desktop counterpart? Our Outlook comparison will help you decide for yourself. Read More , this article isn’t for you. To create your distribution list, fire up the app and click on the People icon in the lower left-hand corner. On the next screen, you need to choose a home for your new list. You can create it in any subfolder, but the Contacts folder is the most obvious location. When you’ve settled on a location, head to Home > New Contact Group. The app will take you to the Contact Group page. To put people into the group, click Add Contacts in the ribbon at the top of the page. You can choose to add people from your Outlook contacts or your address book. To add someone who’s not on either list, you first need to create a contact page for them. To conclude, give the group a name and hit Save and Close. When you’re ready to use the newly-created distribution list, start a new email and start typing the name of your group in the To box. Outlook should find it automatically. Do you use distribution groups in Outlook? Are they easier than worrying about carbon copies? Let us know in the comments below.